Q: How do we know if load A is better than load B? 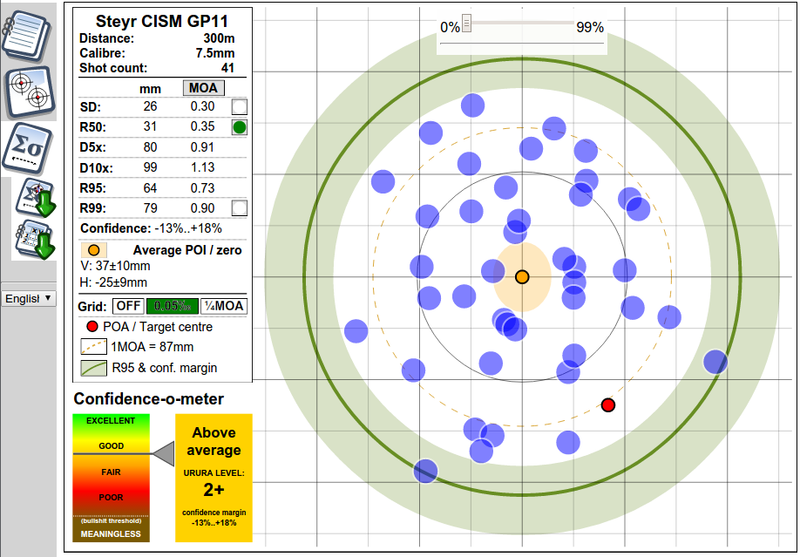 A: We shoot until confidence intervals no longer overlap. Saves the analysis report, as it appears on the screen, to a vector image file in SVG format. Saves the project shots as a table in CSV format (can be opened by Excel, Libreoffice/Openoffice Calc, etc.) for further analysis. 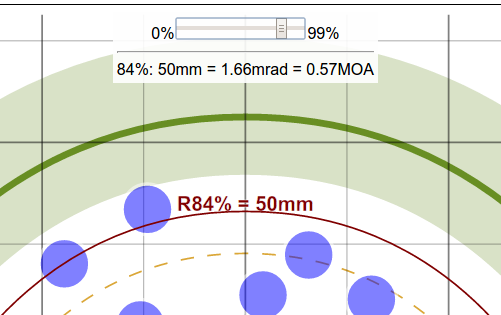 The co-ordinates of shots are in real units (mm or inches, depending on project settings), relative to PoA. 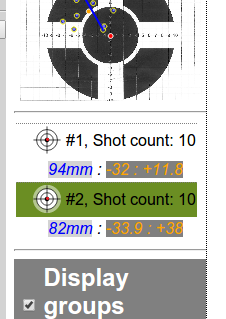 As mentioned here and here, a single group's extreme spread as a measure of rifle precision is both scientifically invalid and practically useless. 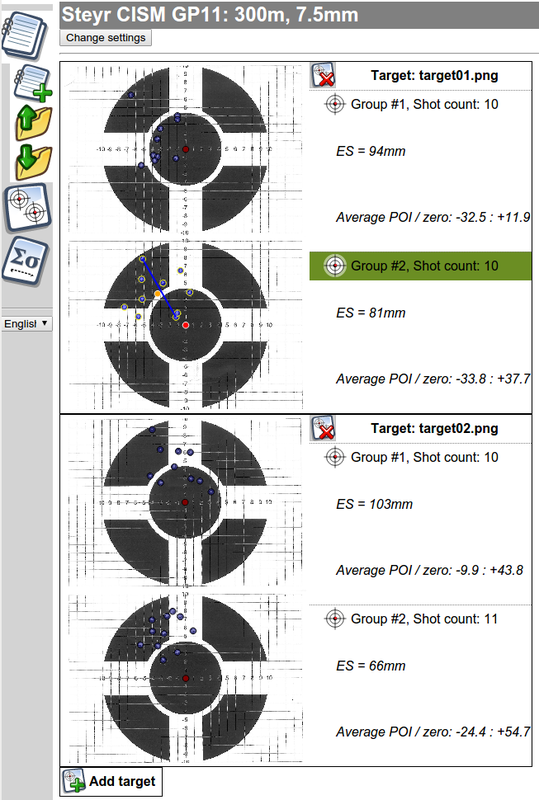 The "Export image" button saves the current target image with all marked groups and shots. Of course, you can. Just mark a new PoA, and it starts a new group. The lower group is selected -- it has extreme spread displayed, and appears in brighter colours.